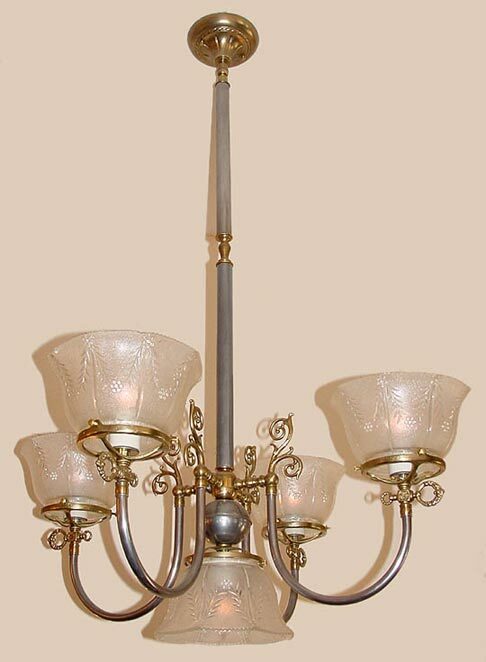 This 'U' arm features mixed metals, 4 lights up and an added downlight under the center body. Stunning Wheat Glass decorates this museum quality gas light reproduction. Your Dining room will love it! Excellent where a lot of light is needed.